Spurred on by a new urgency in conversations about race in the US, where white supremacists have collided with Black Lives Matter activists in recent months, interest in work by African-American artists is on the rise. With calls growing for greater support of black artists, combined with buyers looking beyond the Basquiat boom, many US dealers at Art Basel in Miami Beach (7-10 December) are bringing works that illuminate past struggles or respond to the current moment. At the Los Angeles gallery Cherry and Martin, Kwame Brathwaite is showing photographs of black models taken between 1964 and 1968 but printed this year. “Brathwaite was one of the first people to popularise the phrase ‘black is beautiful’ in the late 1950s and early 1960s,” says Mary Leigh Cherry, the gallery’s co-owner. “His photographs were specifically intended to shape the course of American visual discourse, in which there were very few positive images of African-Americans.” Brathwaite’s prints are priced between $4,000 and $8,000. The art world is only now waking up to its historic racism and sexism, but there is a “genuine desire” to address these issues, Cherry says. “Collectors, curators and critics are excited to learn about previously overlooked artists, to collect their work and explore the legacy of these artists,” the dealer adds. Inman Gallery from Houston is participating at Art Basel in Miami Beach for the first time this year. Founder Kerry Inman believes her application was accepted because this is “a moment where people are interested in artists who are looking at cultural politics”. An installation of Jamal Cyrus’s fictional record label, Pride Records, dominates the Inman booth. Twelve years in the making, the final version on show at Art Basel in Miami Beach consists of 20 record sleeves, complete with stickers describing their condition in Japanese, installed on a custom-built display unit. The work is priced at $38,000. According to Cyrus’s narrative, the label was monitored by the FBI for releasing subversive records and coerced by the agency into producing more bland music. Anat Ebgi is another gallery making its debut at Art Basel in Miami Beach with art that addresses hot-button topics. The Los Angeles-based dealer is showing new works by Jibade-Khalil Huffman that focus on the black male figure in art history and US popular culture, including the video mashup Figuration B (2017). Elsewhere, earlier generations of African-American artists are making their presence felt. 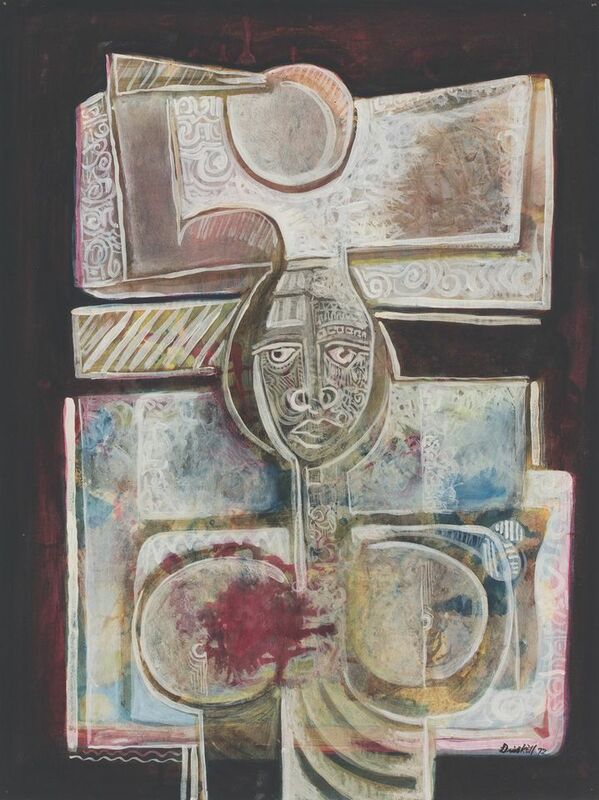 In Statements, New York’s DC Moore Gallery is presenting a solo show of works from the 1960s and 1970s by the octogenarian artist and the leading African-American art historian David Driskell. Despite renewed market attention, Driskell’s auction record only stands at $47,500, for a 1961 oil painting, although very few canvases have come on the secondary market at all. Meanwhile, as part of the film programme, a new documentary, Boom for Real: The Late Teenage Years of Jean-Michel Basquiat, will be screened on 8 December.